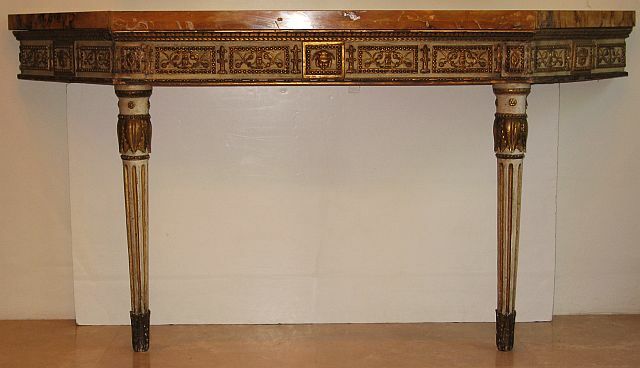 Italian Neoclassic console formed of elements from the late 18th century. Paint and gilt finish. Sienna marble top.